This article was originally written by John Upton and published by Climate Central on August 4, 2015. As the Obama Administration honed its historic new climate rules affecting power plants, it began thinking about electricity more broadly. It was a shift in perspective that in the end may produce the nation’s newest system for trading pollution. Instead of looking solely at how each state could reduce pollution from its electricity sector, the U.S. Environmental Protection Agency’s new carbon dioxide limits emphasize interstate cooperation. That cooperation will be possible, the EPA realized as it reviewed millions of public comments on the plan’s draft, partly through the regional nature of the nation’s electrical grids. The EPA’s Clean Power Plan, finalized Monday, envisions a nation in which interstate electrical grids serve as backbones for renewable energy and pollution trading and a carbon cap-and-trade program. States where more clean energy is being produced than is required by the Clean Power Plan could, in the coming years, sell their surplus achievements to more laggardly states. The new rules create a system in which those trades can be made without any need for special interstate agreements. Europe uses a cap-and-trade program to keep its carbon dioxide pollution within levels required by international agreements. Two cap-and trade programs also operate in the U.S., and states are considering creating more. Obama was elected to his first term vowing to introduce a cap-and-trade program to fight climate change, but he couldn’t get enough support for it from Congress. The draft of the new rules, published a year ago, listed interstate collaboration as a possible tool for achieving compliance — an option that has interested most states. The final version promotes it. It encourages states to join an existing cap-and-trade program, or develop their own trading-based approach to pollution reductions. “The most striking change, from what I’ve seen, is the degree to which state-level and multi-state cap-and-trade systems are now explicitly encouraged,” Harvard University environmental economics professor Robert Stavins said. The Clean Power Plan effectively creates a new national cap-and-trade program, allowing states to trade pollution credits with each other — without setting up special interstate agreements beforehand. States that fail to produce their own plans to comply with the Clean Power Plan may be forced by the federal government into such a program. Under a proposal accompanying Monday’s rule, the federal government would push states “that do not submit an approvable plan” to comply with the new rules into a trading program. “Whereas the proposed rule was virtually silent on trading, the final rule explicitly encourages it — and makes provisions for it,” Stavins said. In last year’s draft, the EPA controversially announced that some states would be required to make much larger cuts than others. That was based on opaque calculations of states’ potentials to make such cuts. Those differences were reduced in the final rule, published Monday. The changes will force for some states, like Wyoming and Kentucky, to be more ambitious than they previously realized. “The final rule released today is twice as bad for Kansas as the proposed rule released last summer,” Kansas Gov. Sam Brownback (R) told the AP. 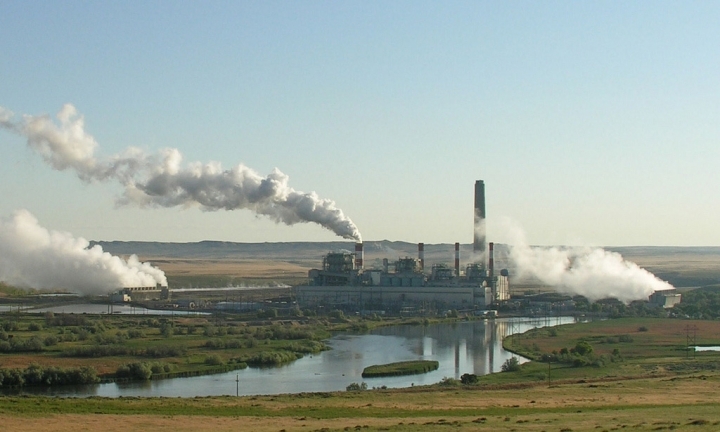 Dave Johnson coal-fired power plant in central Wyoming. But it also eased demands on some states, such as California, which serves as a clean energy hub for the region. California’s own state rules to reduce greenhouse gas pollution are more stringent and far-reaching than the new federal rule. Some of the biggest polluters, including Texas and Ohio, will be required to make the biggest reductions in pollution rates under the new rule. New Jersey, California and six smaller states will be allowed to increase the amount of pollution they produce in 2030, compared with 2012, as their populations increase. The flip side to the EPA’s new approach is that the two states that lack grid connections with any others — Hawaii and Alaska — were placed into the EPA’s ‘too hard’ basket. They have been excluded from the final rule altogether. The EPA’s McCabe, though, disagreed with that characterization. “I wouldn’t use the world exempt — I would use the word ‘defer,’ ” she told reporters. That means Alaska and Hawaii may eventually be required to comply with the rule — though McCabe said there are no timelines for that. Vermont, meanwhile, has no coal power plants, and it’s the only state in the Lower 48 that won’t be directly affected by the Clean Power Plan.